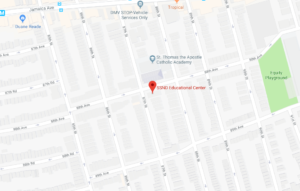 The School Sisters of Notre Dame Educational Center, located at 87-04 88th Avenue in Woodhaven, offers classes to prepare women to take the TASC (formerly called GED) high school equivalency diploma test. • have sufficient background and reading and writing skills in English to work on the high school equivalency curriculum. We accept students who are preparing for the entire test as well as those who need to take only certain subtests.